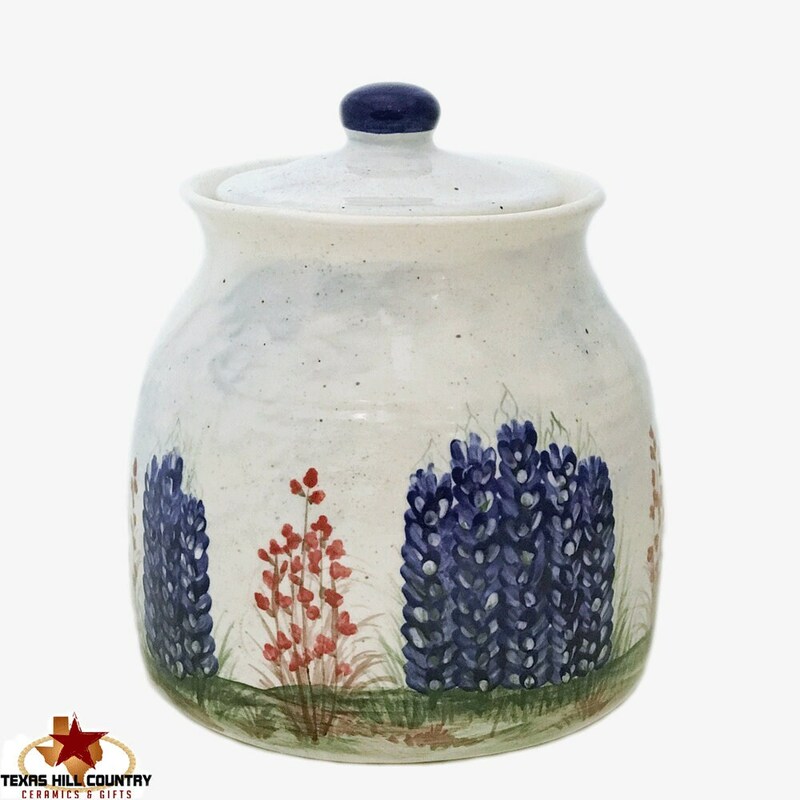 This extra large thrown pottery style ceramic cookie jar canister with lid is beautifully decorated with hand painted Texas Bluebonnet wildflowers. This large size ceramic canister is deep and will hold a lot of treats, it can also be used as a 4th canister to the 3 piece canister set I make. The handpainted wildflowers scene is my original design called Field of Bluebonnets. Each canister is made to order and due to being hand made and has its own individual characteristics, no two are exactly alike. • Overall height with lid 8 1/2 inches tall. • 6 inches in diameter at neck. • approximately 1 inch of the lid fits inside the canister, the lid has a seal so contents in the jar remain fresh. The entire cookie jar canister is dishwasher safe and food safe. 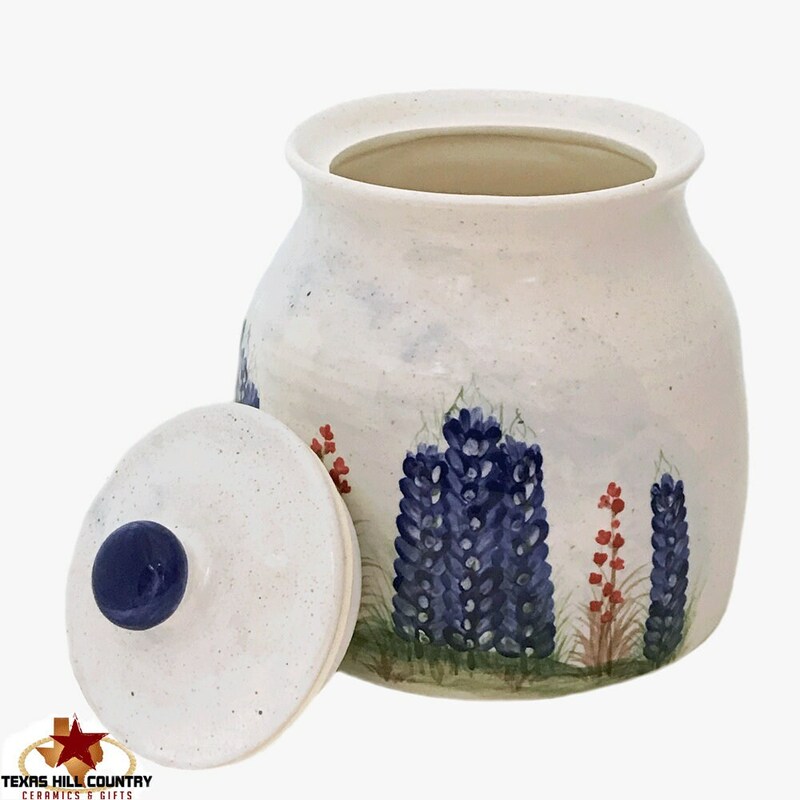 The highly detailed hand painted Texas bluebonnet design is on the front half of the cookie jar. Each canister is hand painted, the one you received may vary slightly from the one in the photo. 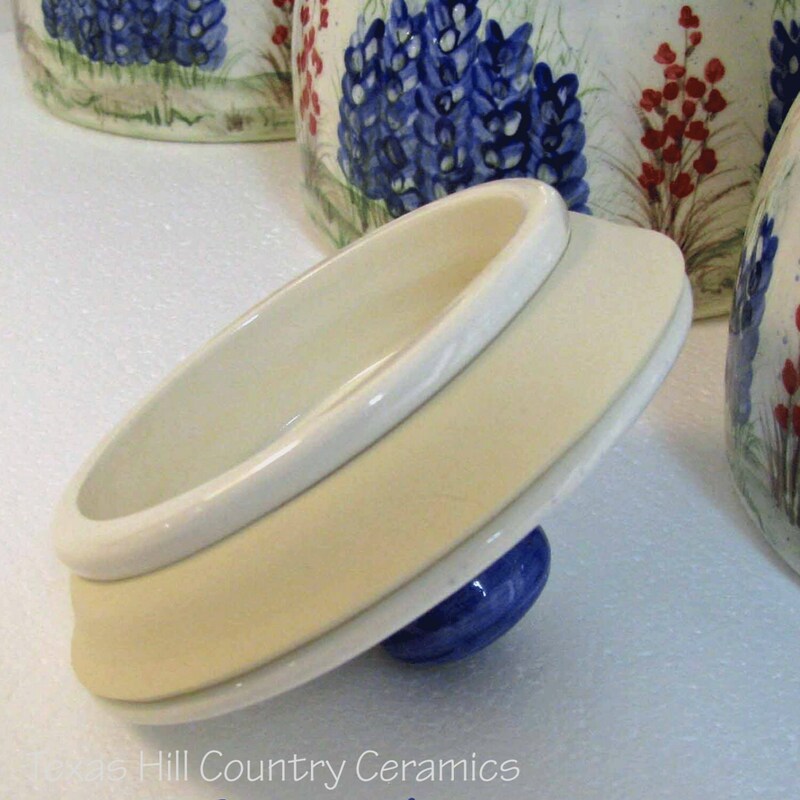 This canister is made of domestic ceramic earthenware in my shop in central Texas. All ceramic materials used to create the canister are from the USA. The lid seal is not of domestic origin.